Sorry for the bad joke of words in the title, but the Contest #1 consists exactly into that. Finally, Tour Down Under organization decide to improve the route drawing a route that suits better the climbers like Quintana but is also balanced to permit to compete also to time triallist like Dumoulin. You are called to redesign Tour Down Under making an harder and better route. You have to keep the format of a six day World Tour race with an end in one of the biggest city of South Australia. You can choose for the finish one between Adelaide, Melbourne, Canberra and Sidney. Of course, you have to insert a time trial in the route. Deadline will be on saturday, February 10, h 23.59 Rome time. You must submit your routes in this topic submitting the link. As stated in general presentation, you can submit from 1 to 5 routes. You can use this topic also for asking the question - we can answer question about climb / road / finish praticability but we won't answer to anyone's questions in private, only in this topic. You can also add your climbs in the presentation in the topic. The only rules to respect are the UCI rules. Is up to who will vote to decide that, but it won't cause you a penalty from jury. Stage 1 is a flat ITT of 20kms which suits cronomen. Stage 6 will be a sprint in Adelaide, bit two short climbs and a long descent is in the menu. The Tour Down Harder 2018 begins with the only Time Trial of the race: the length of the test is rather significant for a week-long race (23 km) and will force pure climbers to the fore in the following days. The first rendez-vous for the GC men. After a first easy section looming the Melbourne Bay (beware of possible crosswinds) the climbing fun begins with the 50-km circuit around Boronia: the first climb to Olinda is the longest of the stage but also the easiest, and will serve only to eliminate the heavier men in the peloton. An easy stage that won't move the GC in any means before the last two important stages. Not as hard as the previous one, but this stage could be decisive for a number of factors: the length, the numerous up and downs but mostly the 28 km of gravel road, all in rather good conditions (see Streetview). After the short and hard Silcocks Hill mid-stage the main dish is undoubtedly the long, rising gravel sector in the Tarra Bulga Park: the slopes are easy but the gravel, the heat and the length of the stage could make the difference. 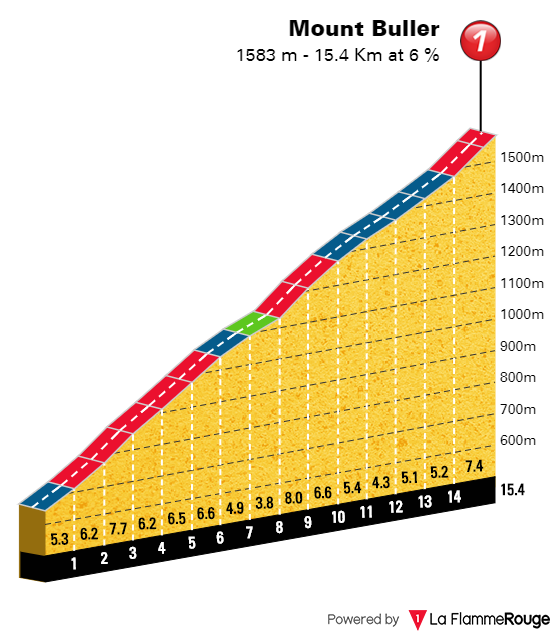 After the top there are 33 kms that could favor regroupings. A tranquil, sprinter-friendly finale in Melbourne. Last edited by Paganini on 28/01/2018, 15:31, edited 6 times in total. A varied route around Melbourne should give some fun racing early in the season. 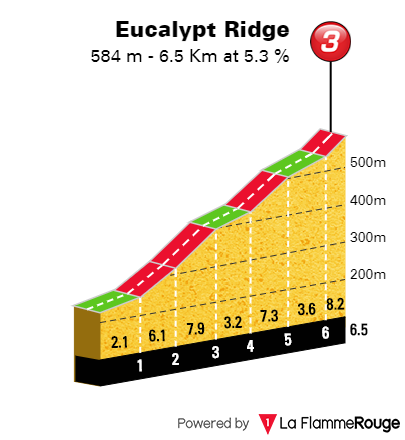 The stages aren't very long, which should also aid the riders with an attacking mentality. We start of in Geelong for our trip in the state of Victoria. The route to the North is fairly mixed and ends with a trip though Macedon regional park. To create some gaps in the GC standing, the finish is on top of Mount Macedon. Not the hardest climb (max. is around 7,5%), so differences won't be big. 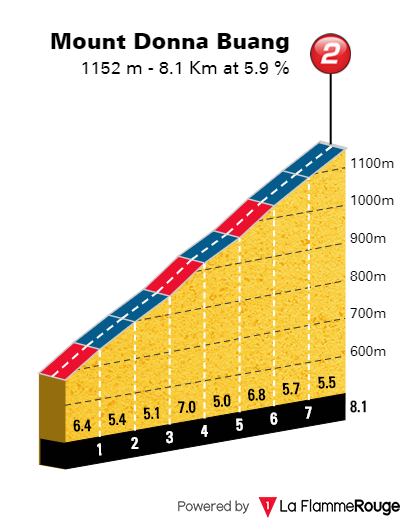 Explosive hill specialists/climbers should find their chance for victory here. Macedon regional park with Mount Macedon. 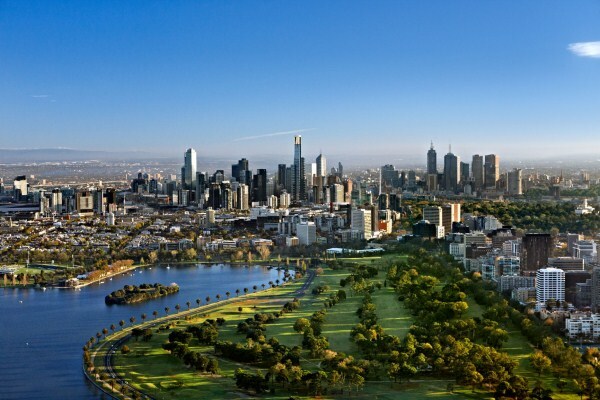 Anyone who wants to be on top of the standings in Melbourne will have to make a move here. Especially climbers who lack TT skills. Mount Buller is the main setting of this stage and provides a 15km climb going up to 1582m. With 6,1% on average, it's certainly not easy, yet attackers should find some opportunities on the flatter sections. The sprint stage of the tour, basically flat, at least for the most of the route. A bit of a rest for the GC riders, so they're well prepared for the final stages. The final opportunity for hill specialists. Some early moves can be made at the Dom Dom Road, but saving your energy for Mount Donna Buang might be the better option. An attack on this climb, combined with some downhill skill could bring large rewards. The final stage is an ITT, staring at the Trinity college sports complex, set in Melbourne and quite interesting: the riders with lots of power will like the first part before entering Bellbird Park & Studley Park, where the road will provide some technical challenges. When the riders are out of the parks, it's back on for the power riders with a straight of more than 3km. The finish is set near the Rod Laver Arena, where the Australian Open is going on. So a lot of spectators will be guaranteed. Last edited by Belgian4444 on 27/01/2018, 9:48, edited 3 times in total. Last edited by Ded-Moroz on 03/02/2018, 16:00, edited 5 times in total. 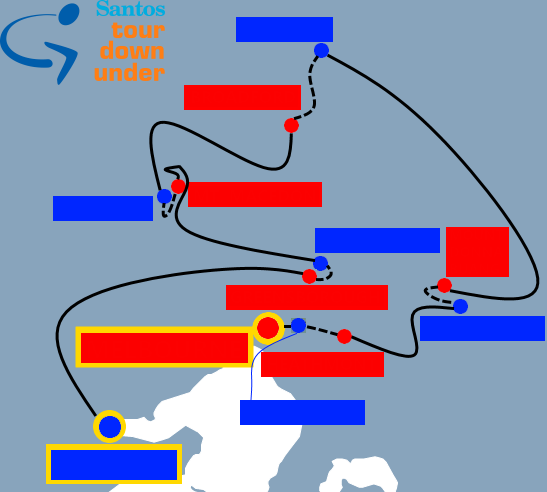 The harder race of Australia. 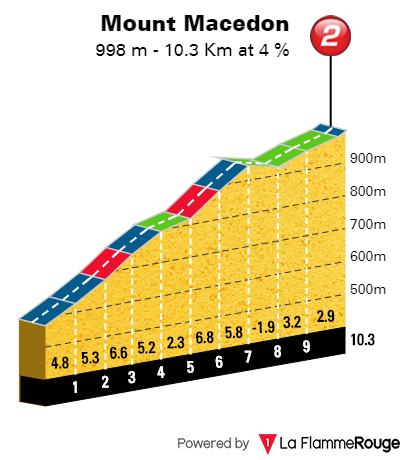 1° Stage - Stage move and vallonata in the first part, then flat until the arrival. 2° Stage - Pretty flat stage with short ups and downs to the foot of the Ferny Creek tear. 3° Stage - High mountain stage, begins with the Donna Buang climb and up to the slopes of Mount Baw Baw is characterized by false flats and ups and downs. 4° Stage - The hardest stage of the Down Under, you have to face three mountains with difficult slopes until you get to the long climb of The Hump. 5° Stage - Long and flat Time-Trial suitable for specialists. 6° Stage - Very easy stage , flat and short to arrive a Sydney. 1. Wagga Wagga - Holbrook. 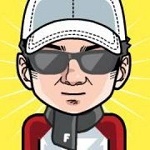 (110 km) A flat and short stage to start with. Sprinters will get there chance. 2. Albury - Albury. (16 km) The time trial includes two tough hills. 3. Albury - Beechworth (150 km) A hilly stages that ends with a 5 km climb towards Beechworth. 4. Wangaratta - Mount Beauty (137 km) The climb towards Tawonga Gap makes the stage. 6 km and 6,5% before the downhill towards Mount Beauty. Small finish, but wide enough. Like Lac de Payolle 2016. 5. Tallangatta - Thredbo (187 km) The hardest stage of this Tour. 6 categorized climbs and a finish in Thredbo after the 1st category climb towards Dead Horse Gap. 6. Cooma - Canberra (142 km) The race finishes in Canberra. The second chance for the sprinters to take the victory. 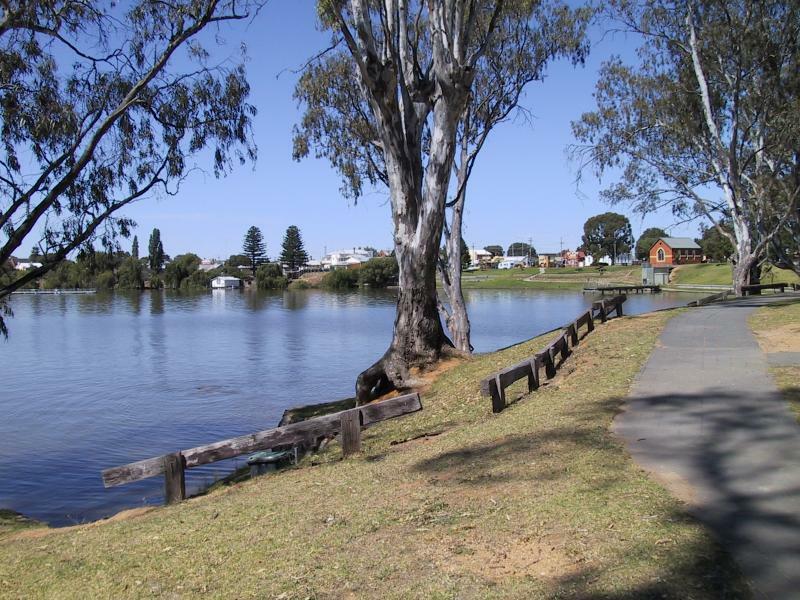 Stage 1 : Canberra > Cootamundra (169 km). Last edited by Rmax85 on 29/01/2018, 19:18, edited 2 times in total. 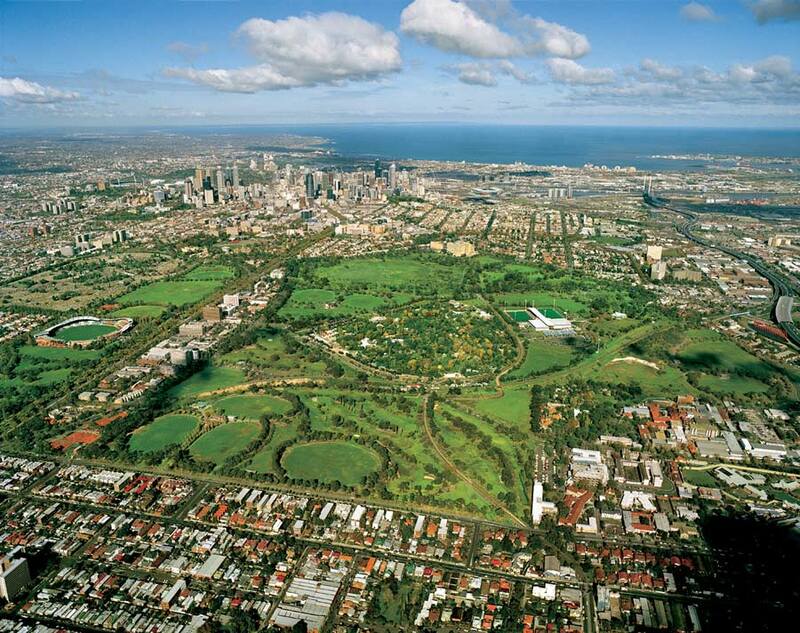 The race will take place in the state of Victoria, with the finish line placed in its capital and larger city Melbourne. More news coming soon!